All the things that make summer so appealing – sun, heat, and ocean breezes – can also make life difficult for Type 3 curls. These elements can leave hair dry, rough, and tough to manage. 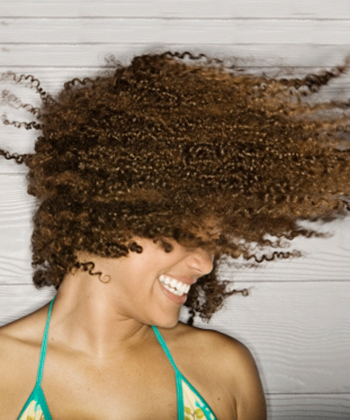 Add humidity to the mix and you’ve got frizz and a few dips in a chlorinated pool and hair gets even more parched (especially the ends). But summer CPR is as close as your kitchen. Just open the pantry and pull out the olive oil, an ingredient that is super hydrating and can revive and nourish your strands. Here, five ways to use it courtesy of Lorraine Massey, author of Curly Girl: The Handbook. Before you cannonball into the pool, give your hair a little protection from the drying, chlorinated water. “Olive oil is a great barrier for swimmers as oil and water don’t mix,” explains Massey. Get a spray mister (at a housewares store) and fill it with olive oil. Before going in the pool, spritz your entire head. Better yet, spray the lining of a bathing cap and wear that for your swim. 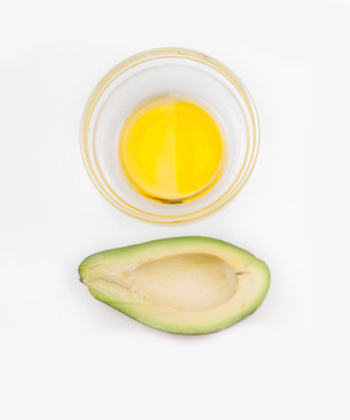 Blend 1 ripe, mashed avocado, 3 to 4 teaspoons of agave syrup and 8 to 10 drops of olive oil in a blender. “Apply to wet hair paying extra attention to the ends,” says Massey. Wrap your hair with a towel, turban-style and relax like this for 20 to 30 minutes. Rinse hair thoroughly, then cleanse and condition as usual. The ends of our hair tends to be the most revealing when it comes to damage. If your aim is length retention, it is important to treat the ends of your hair to prevent breakage and split ends (which will require more frequent trims). Mix 1 to 3 teaspoons of olive oil with 2 to 4 drops pure essential oil (such as lavender or verbena) and put this on the ends of your hair. Wrap hair in plastic wrap for 30 minutes. Your scalp is exposed to the elements and a result can get dry and itchy. Sloughing off dead cells can help ease the itch and remove product buildup. “Dab olive oil on dry areas of the scalp and leave it on overnight,” explains Massey. 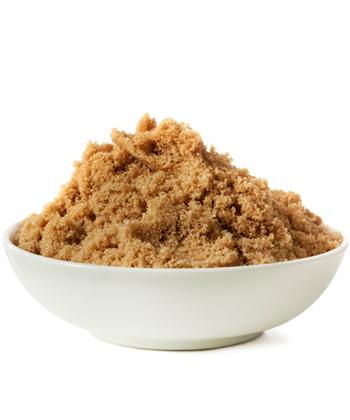 The next day, combine a tablespoon sulfate-free cleanser (like No-Poo) and a tablespoon of brown sugar and exfoliate your scalp by gently massaging in circular motions. Dab your fingers in a little olive oil. On dry hair, gently graze the outer layer of hair with your fingertips.